Gone are the days when the brand Seventeen was just for young teenage girls. Over the past year i have noticed a huge difference in the branding of Seventeen. It looks so much more professional and the range of products is amazing. If you are a long term reader of my blog you will know Seventeen is my favourite drugstore brand! When i was contacted asking if i wanted to try some of their products i jumped at the chance. 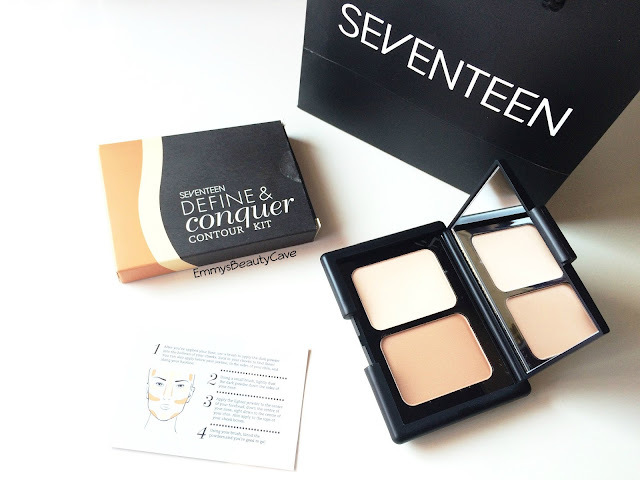 One of the first products i received was the Seventeen Define & Conquer Contour Kit. 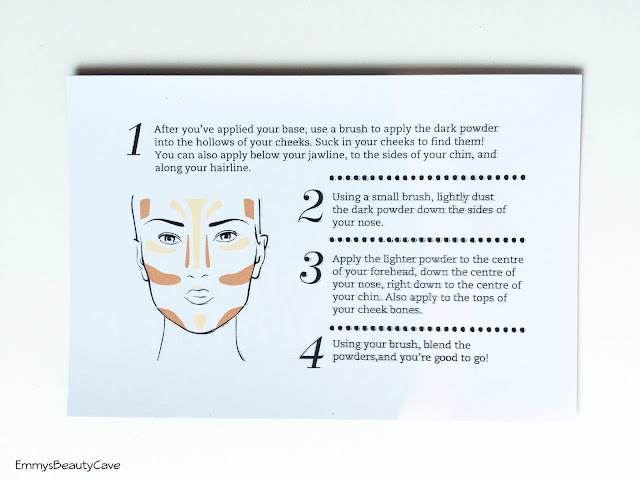 Im all about that contour! 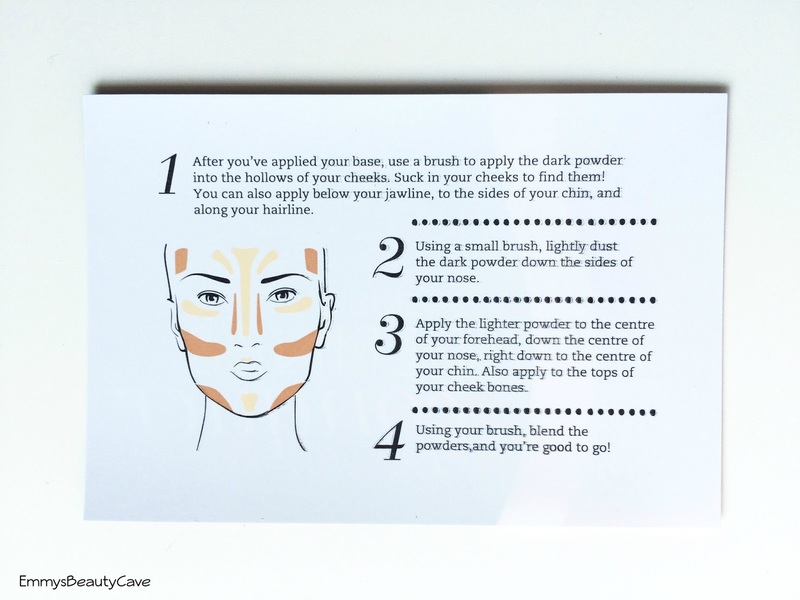 As we all know Kim K introduced us all to the contour world and it has become a huge hit. Some people are moving onto Strobing but for me contouring is something i do on a daily basis whether its subtle or BAM Hello Cheekbones. The packaging for the Seventeen Contour Kit is very sleek and high end looking. It comes in a compact case with a decent size mirror and instructions of how to contour. I love the small touch of having the instructions with a picture especially if you are a beginner it can really help. The texture of each powder feels silky smooth which applies like a dream. 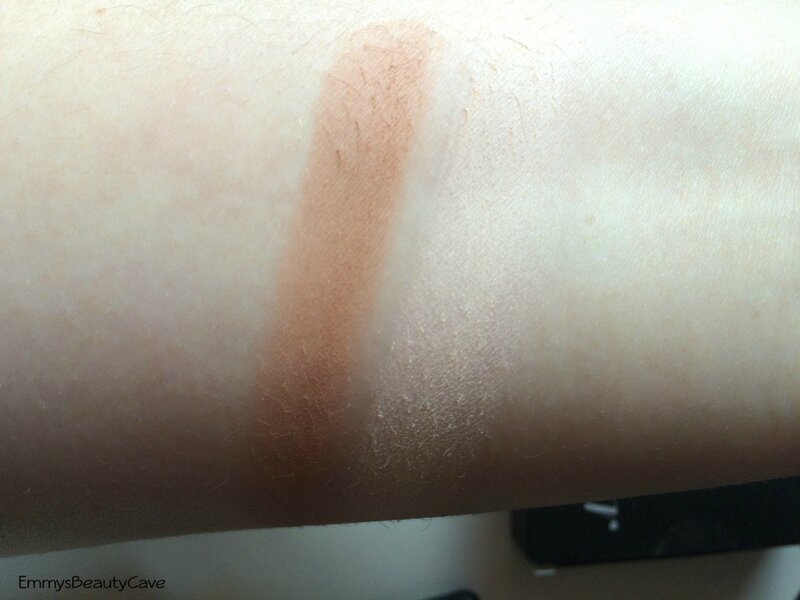 One thing i find with contouring products is some can come up a little orange looking on me but i can confirm this is not orange! Lets all do a dance! The contour shade blends easy and is easily buildable depending on your desired look. The one question... Does it look muddy? The answer is no! The only thing i will say is try different brushes to apply this with as i found some worked better than others. The Powder/Highlight Shade? I love it. I mainly use this shade under my eyes to brighten them up and i also use it under where i contour on my cheekbones to create a more defined look. Overall i have to say i am so in love with this palette and will definitely purchase it when im finished with this one. Whether your a beginner or a novice you will find this palette easy to work with! 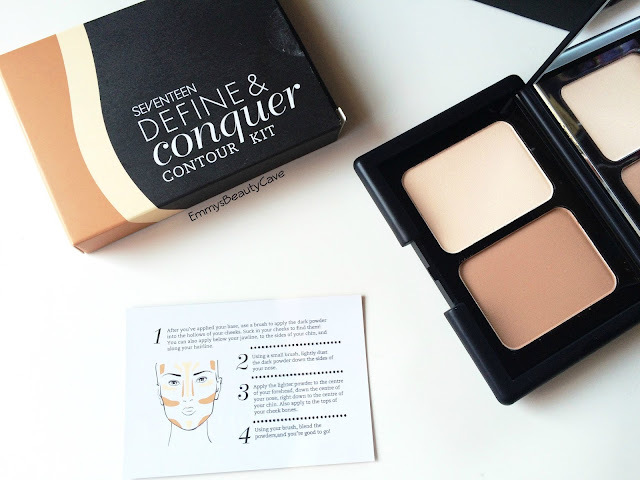 The Seventeen Define & Conquer Contour Kit retails for £5.99 and comes in two shades. That highlighting shade is so pretty! 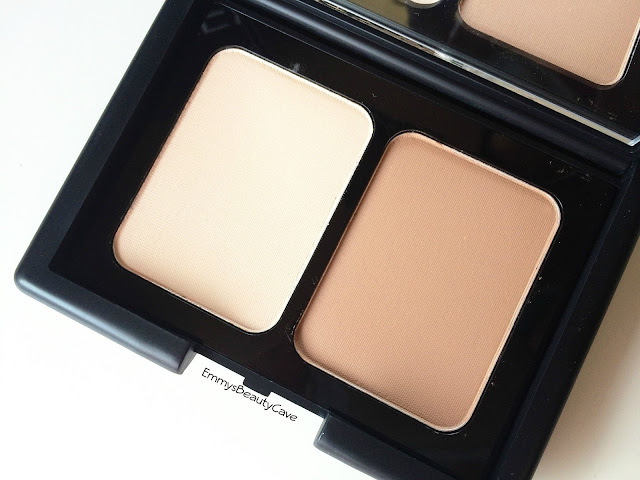 This is my go to for contouring, although I love the highlighting shade the most! Its such an easy palette to use isn't it! I've been meaning to pick this up for the longest time but it's always out of stock or people have stuck their fingers in it! The tester has always felt so soft though! I have loved Seventeen for years and still love them now!! I've just done a review on this too.. I really love it. Have you tried their highlighter? I think it's called Wow? SO GOOD! This sounds like a lovely and affordable product. I find that quite a lot of bronzing/contouring powders can be a bit too orange-y, I'm glad that this worked so nicely for you! I've wanted to give this a try for so long! Great post lovely!